The Grafton on Sunset is your ideal destination when visiting the West Hollywood area with its snazzy spot on the notorious Sunset Strip. 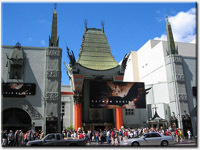 Heralded the “Boulevard of Dreams,” Sunset Boulevard along with its lovechild, The Grafton, is conveniently situated to the Hollywood studios and production offices, numerous chic bars, restaurants and lounges, world-class shopping, eye-candy galore, and more. • Valid only for our opt-in list. • 15% off any 5-night (or more) stay! • Groove at the Grafton on New Year's! • Book online for exclusive 2011 party rates!